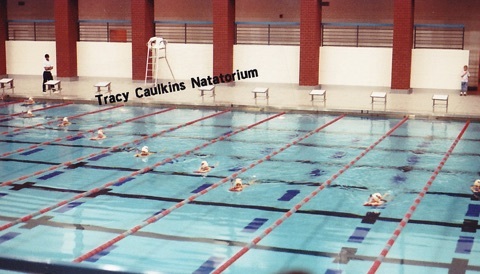 1) You swam for NAC back in the 90s. Can you tell us a little bit about your background/career at NAC? eriod of time, and through her I also got to know her sister Tracy Caulkins. Tracy went to Florida as well, and it was quite a feeling catching up with her at an alumni event years later (she travelled all the way from Australia at the time). 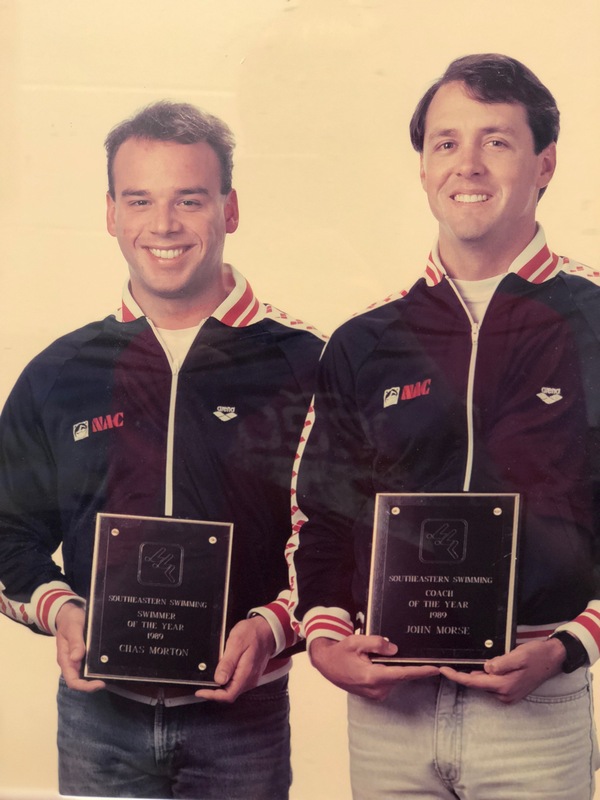 I was nowhere near in time to the start of the Nashville program, but still knew my time at NAC provided me a connection to its roots. 2) Was there a specific swimming moment (at practice, a certain meet or race, etc.) that helped you make the decision to stick with NAC and see swimming through as far as you did? *Coach Morse had confidence in me to start with the senior group when I was almost 13. Taking the risk in practice to put myself out there and race the older swimmers was the best thing I could have done. Based solely on age, I had no business training with the people and finishing the practices ahead. I can actually remember the specific practice racing a senior swimmer to the end of the main set. Of course, that memory wouldn’t exist if that senior swimmer (Kyle Rushe) wasn’t there to motivate me to keep up the challenge. 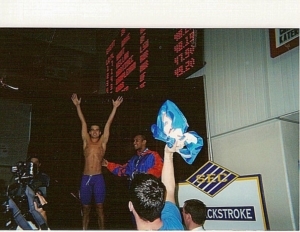 I remember trying for my senior national cuts with the whole team standing over my lane cheering. I would offer one piece of advice, though. Looking back I had a personal limitation of needing to SEE the next level before achieving it for myself. I wish I had more in me to set a goal that was COMPLETELY beyond what had been done at the time. 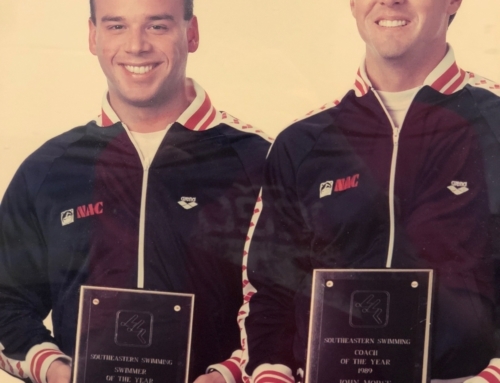 I know Tracy Caulkins constantly fell short of her own expectations even though she was (literally) the greatest swimmer to have honored the sport … we need more of that! 3) You followed in Coach Morse’s footsteps and went on to swim at the University of Florida. Can you tell us about your experiences in Gainesville and how NAC helped prepare you for that stage? *It is interesting that I ended up at Florida given Morse’s connection. I do not remember him OVERTLY influencing me to go to a particular school, but once I visited the campus there was no question I would go. Morse though was extremely supportive only in making the best decision for me, and looking back I can only guess at the conversation he must have had behind the scenes to make sure I had the opportunities I was afforded. He was also the only coach who could have prepared me for Greg Troy. While their personalities differ greatly, the training was consistent right into college. I would never have been ready for that program had it not been for Morse and NAC. Troy started me in the distance IM group, which meant 90,000-100,000 yard weeks. That makes me sick to my stomach to think about now but Morse had me ready. Going into college I chose Aerospace Engineering as my major. I picked the major because I remembered it from the SAT/ACT tests. Before we started, they have you fill out questions regarding what would interest you in college. Aerospace was at the beginning of the major list alphabetically….so I did not have to read any further! But because of my time with Morse at NAC I did not think for a second it would be a challenge. Whatever it took, I could handle it. I remember every race from NCAA’s. The over-arching theme was that I was ready for every race, even when I did not perform as I wanted. I knew every time I stepped to the blocks that I had done more to prepare. There was more I could during each race, but I have no doubt I could not have been more physically prepared. 4) You mentioned that you swam at UF with Ryan Lochte. He was even in your wedding! Can you tell us a little bit about your friendship with him? 5) So you stayed down in Florida after school to practice law and have started your own little family with your wife and two little girls. 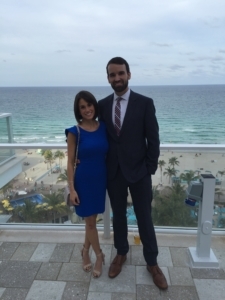 Please tell us how you met your wife and a little bit about your girls! *The short version is that we meet while enjoying a pleasant evening out in Gainesville. I was in law school and she was starting her last year of college. While it sounds cheesy, it is one of those where you know right away. 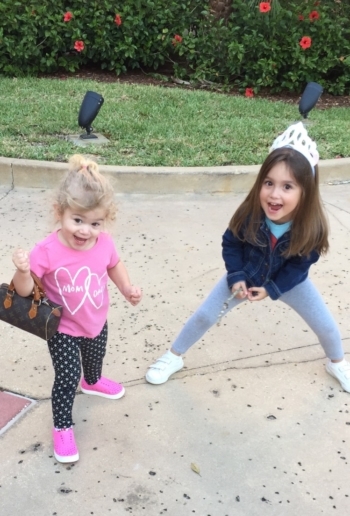 We have two fantastic daughters. I want to say I know how to teach my daughters to swim, but I have little idea how to start at “step 1.” Once they can swim and want to learn to swim faster, we may have a different story. Luckily the mother of a fellow Gator swimmer has a school down here so they learned with her. We have a pool in the back yard and both love to swim. We are in every weekend. My oldest is almost 5 so just getting to the age where she starts to have interest in after-school activities (and hopefully sports). I absolutely want them to enjoy swimming. 6) Alright, just one more question! Favorite NAC memory… Ready, go! *In terms of NAC itself, I was fortunate enough to be a part of the opening of the Sportsplex/Tracy Caulkins Natatorium. For the opening ceremony, we kicked across the pool in formation with a massive crowd excited about the new facility. It was amazing then to have the majority of my swimming career in the same pool. I remember the lead-up to my first national meet: getting together with the team on a Sunday to get meet gear and talk about the week ahead. I remember starting the day at 3:45am and getting home after 7:00pm when I was 13 just to be better than I was the day before. It is tough to pick a single memory, and the funny memories sparked from tiny moments each day with the people going through the experience too.